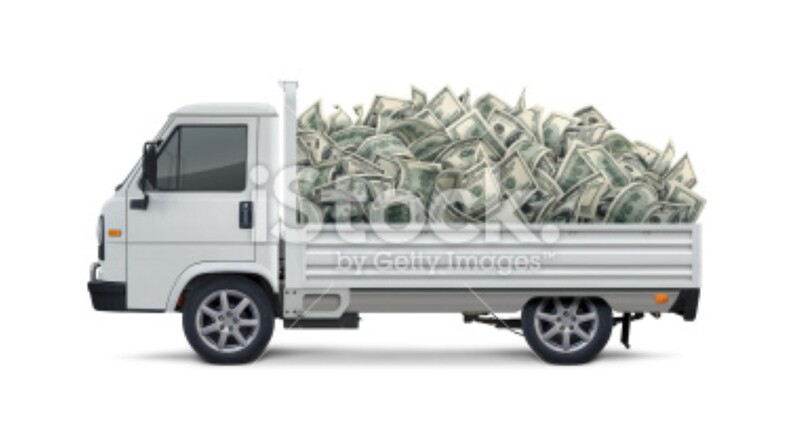 Side view of white truck carrying heap of money (one hundred-dollar bills). Clean image and isolated on white background. Digitally generated image.